Healthcare cost savings are closely linked to prescribers’ confidence in and acceptance of the prescription of biosimilar drugs. The aim of this study was to assess the knowledge, experience and opinions of hospital-based and office-based French rheumatologists with regard to biosimilar medicines and to identify the barriers to and possible options to promote their prescription. A web-based, self-administered survey was conducted among French rheumatologists from June 8 to August 2, 2015. A total of 116 rheumatologists responded to the survey. Many reported having little knowledge and a lack of available information about biosimilar drugs, especially office-based rheumatologists. 98.3% of the respondents had at least one question about biosimilars, and seven in ten raised issues regarding substitution, iatrogenic effects or cost savings that might be achievable. Only eight rheumatologists had already prescribed a biosimilar drug. The most common barriers reported were indication extrapolation and a lack of data about tolerability. Nine out of ten physicians thought that starting a treatment with a biosimilar drug in biologic treatment-naïve patients was possible. The rheumatologists’ opinions were rather favorable towards the implementation of biosimilars, but a majority expressed a negative opinion about substitution by the pharmacist. Our survey gave a better appreciation of the concerns associated with biosimilar prescriptions. Targeted communication initiatives, deeper experience and availability of new clinical data may help to address the outstanding questions and should overcome the misunderstandings surrounding biosimilar drugs among rheumatologists. J. Sibilia and M. Velten contributed equally. The online version of this article (doi: 10.1007/s40259-016-0202-5) contains supplementary material, which is available to authorized users. The authors would like to thank all rheumatologists who participated in the pilot study for giving their impressions and advice—Marc Ardizzone, Hélène Bauer, Emmanuel Chatelus, Jacques-Eric Gottenberg, Paul Moreau, Nawal Rahal, Laëtitia Sparsa—and everyone who provided assistance in the survey’s dissemination: the “National Union of Rheumatologists” (Syndicat National des Médecins Rhumatologues) and the “Inflammatory Joint Disease Working Group of the French Society for Rheumatology” (Club “Rhumatismes et Inflammations”). The authors would like to thank Valérie Leray for proofreading and linguistic review of the manuscript. Last but not least, the authors would like to gratefully acknowledge all participants in the survey for completing the questionnaire. MB conceived and designed the survey. BM, MCRV, DL, CS and MV were involved in validating the survey questionnaire. MB, CS and JS were involved in the survey’s dissemination. MB collected and analyzed the data. All authors checked the accuracy of the results. All authors were involved in drafting the article and revising it critically for important intellectual content. MB acts as guarantor for the content of the paper. All authors read and approved the final manuscript submitted for publication. JS has received grants (<€10,000) from Roche, Pfizer, Abbvie, UCB and consulting fees or honorarium (<€1500) from Roche, Chugai, Bristol Myers Squibb, Abbott, UCB, GSK, LFB, Actelion, Pfizer, Merck Sharp, Novartis, Amgen, Hospira and Abbvie. MB, BM, MCRV, DL, CS and MV declare that they have no conflicts of interest. European Medicines Agency (EMA). Guideline on similar biological medicinal products. CHMP/437/04. 23 October 2014. http://www.ema.europa.eu/docs/en_GB/document_library/Scientific_guideline/2014/10/WC500176768.pdf. Accessed 22 Mar 2016. European Medicines Agency (EMA). Guideline on similar biological medicinal products containing monoclonal antibodies - non-clinical and clinical issues. EMA/CHMP/BMWP/403543/2010. 30 May 2012. http://www.ema.europa.eu/docs/en_GB/document_library/Scientific_guideline/2012/06/WC500128686.pdf. Accessed 29 Oct 2015. FirstWord Pharma. FirstWord Lists—the best selling drugs in 2014. http://www.firstwordpharma.com/node/1263906. Accessed 3 Mar 2016. Agence Nationale de Sécurité du Médicament et des Produits de Santé (ANSM). Les médicaments biosimilaires—État des lieux, 2013. http://www.ansm.sante.fr/var/ansm_site/storage/original/application/6187b427efca64d2a15e496ff691158e.pdf. Accessed 22 Mar 2016. EuropaBio. ASBM survey of European prescribers understanding and knowledge of biosimilar medicines. http://www.europabio.org/asbm-survey-european-prescribers-understanding-and-knowledge-biosimilar-medicines. Accessed 3 Mar 2016. Alliance for Safe Biologic Medicines (ASBM). Latin American physicians support distinguishable biosimilar naming, survey finds. 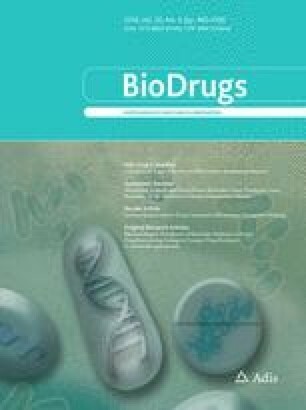 http://safebiologics.org/resources/2015/06/latin-american-physicians-support-distinguishable-biosimilar-naming-survey-finds/. Accessed 22 Mar 2016. Institut National de la Statistique et des Etudes Economiques (Insee). Médecins suivant le statut et la spécialité en 2015. http://www.insee.fr/fr/themes/tableau.asp?reg_id=0&ref_id=NATTEF06102. Accessed 4 Mar 2016. Syndicat National des Médecins Rhumatologues, Société Française de Rhumatologie, Collège Français des Médecins Rhumatologues. Livre Blanc de la Rhumatologie Française 2015. http://sfr.larhumatologie.fr/rc/rhumatologie/htm/Article/2015/sfr-20151001-095142-363/src/htm_fullText/fr/Livre-Blanc-Rhumatologie-2015.pdf. Accessed 17 May 2016. European Medicines Agency (EMA). Assessment report Inflectra. EMA/CHMP/589422/2013. 27 June 2013. http://www.ema.europa.eu/docs/en_GB/document_library/EPAR_-_Public_assessment_report/human/002778/WC500151490.pdf. Accessed 17 Oct 2016. European Medicines Agency (EMA). Assessment report Remsima. EMA/CHMP/589317/2013. 27 June 2013. http://www.ema.europa.eu/docs/en_GB/document_library/EPAR_-_Public_assessment_report/human/002576/WC500151486.pdf. Accessed 17 Oct 2016. ClinicalTrials.gov. “Efficacy and Safety of Infliximab-biosimilar (Inflectra) Compared to Infliximab-innovator (Remicade) in Patients With Inflammatory Bowel Disease in Remission: the SIMILAR Trial”. https://clinicaltrials.gov/ct2/show/NCT02452151. Accessed 4 Mar 2016. British Society of Gastroenterology (BSG). Clinical trials updates—PANTS study. http://www.bsg.org.uk/research/clinical-trials-updates/index.html. Accessed 4 Mar 2016. ClinicalTrials.gov. The NOR-SWITCH Study. https://clinicaltrials.gov/ct2/show/NCT02148640. Accessed 4 Mar 2016. Nederlands Trial Register. Trial info—the effect of switching treatment from innovator infliximab to infliximab biosimilar on efficacy, safety and immunogenicity in patients with rheumatoid arthritis, spondyloarthritis or psoriatic arthritis in daily clinical care—BIO-SWITCH study. http://www.trialregister.nl/trialreg/admin/rctview.asp?TC=5279. Accessed 4 Mar 2016. Beck M, Michel B, Rybarczyk-Vigouret M-C, Sordet C, Sibilia J, Velten M. Biosimilar infliximab for the management of rheumatoid arthritis in France: what are the expected savings? Eur J Hosp Pharm. 2016:ejhpharm–2016–000904. doi: 10.1136/ejhpharm-2016-000904.